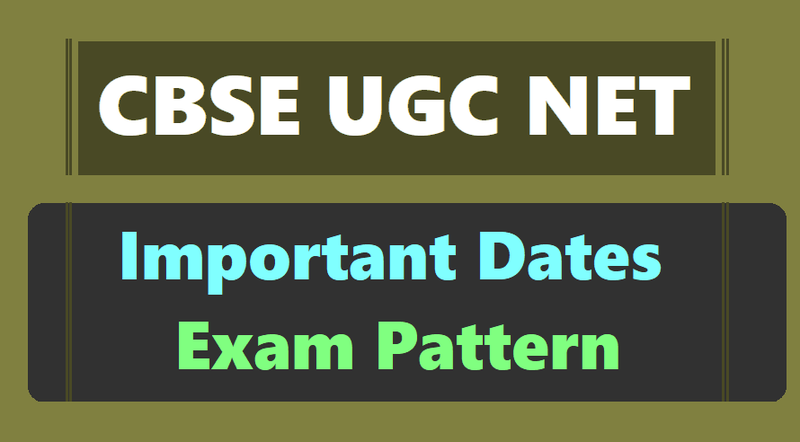 National Testing Agency (NTA) has released the official UGC NET examination notification of the June session of the test. Online application process for this National Eligibility Test (NET) will begin from March 1, 2019 and the process will be concluded on March 30, 2019. NTA will conduct UGC NET exam on (Exam dates: June 20 to 28, 2019) in 84 subjects at 91 selected cities of examination spread across the country. There will be total 2 papers which will consist of objective type questions. Each question will carry 2 marks. The questions which will be of general nature and will test the teaching/research aptitude of the candidate. A candidate’s reasoning ability, comprehension, divergent thinking and general awareness will be tested. Each question will carry 2 marks and will be based on the subject selected by the candidate. Educational qualification: Candidates need to secure at least 55 per cent marks in Master’s degree ore quivalent examination from a recognised universities/institutions. There is five per cent relaxation for OBC, Scheduled Caste(SC)/Scheduled Tribe(ST)/ persons with disability(PwD) category and transgender candidates who have secured at least 50 per cent marks (without rounding off) in Masters degree or equivalent examination. Those who are pursuing their Master’s (in the final year) can also apply. Such candidates must complete their Master’s degree or equivalent examination within two years from the date of NET result with required percentage of mark. Those who have Ph D degree and whose Masters level examination had been completed by March 19, 1991 (irrespective of date of declaration of result) shall be eligible for a relaxation of 5 per cent in aggregate marks. Junior Research Fellowship (JRF): The candidate should not be over 30 years as on June 1, 2019. There is 5 years relaxation for the candidates belonging to OBC, SC/ST/PwD/ transgender categories and to women applicants. UGC also provides relaxation to the candidates have research experience, limited to the period spent on research in the relevant subject of post-graduation degree, subject to a maximum of 5 years. Three years relaxation in age will be permissible to the candidates possessing LLM degree. Five years for those who have served armed forces subject to the length of service. Assistant Professor: There is no upper age limit. Interested candidates are advised to carefully go through the official notification to check their eligibility. Quickly, candidates ought to have completed their graduation and masters – depending on the course that they wish to take up the Asst. Professorship or JRF in. There is no upper age limit for Asst. Professor exam. However, there is an upper age limit of 30 years for JRF as on June 1, 2019. Once convinced of the eligibility, candidates can apply online on the official website ntanet.nic.in. The link for registration would be activated soon. Fill the online application form, upload the signature and image and pay the fees. 4. Before applying online, candidates are advised to go through detailed notification available on NTA website NTAnet.nic.in and note that fee submitted through any other mode like Money Order, Demand Draft, IPO etc. will be summarily rejected by the board. In other to avoid last minute rush, the candidates are advised to apply early enough. According to the board, NTA will not be responsible for network problems or any other problem of this nature in submission of online application during last days.